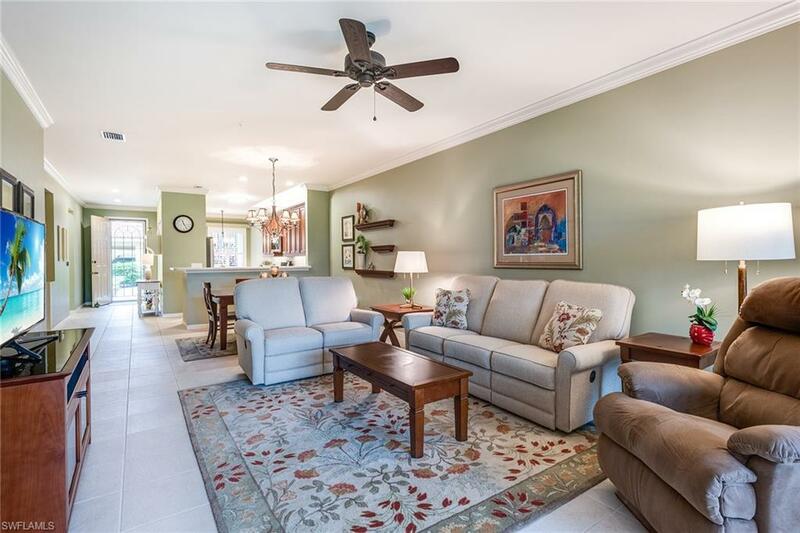 Welcome to this beautiful light and bright updated first floor condo along the second fairway in Vasari. This turnkey condo also includes a new air conditioner and new hot water heater installed in 2018. 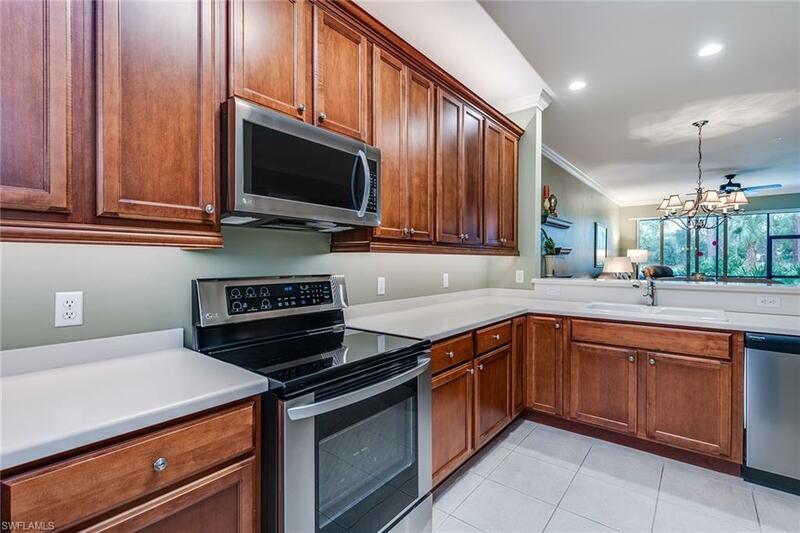 In the kitchen, there are 44 inch cabinets, up and down lighting, a new refrigerator, stove and microwave installed in 2018. 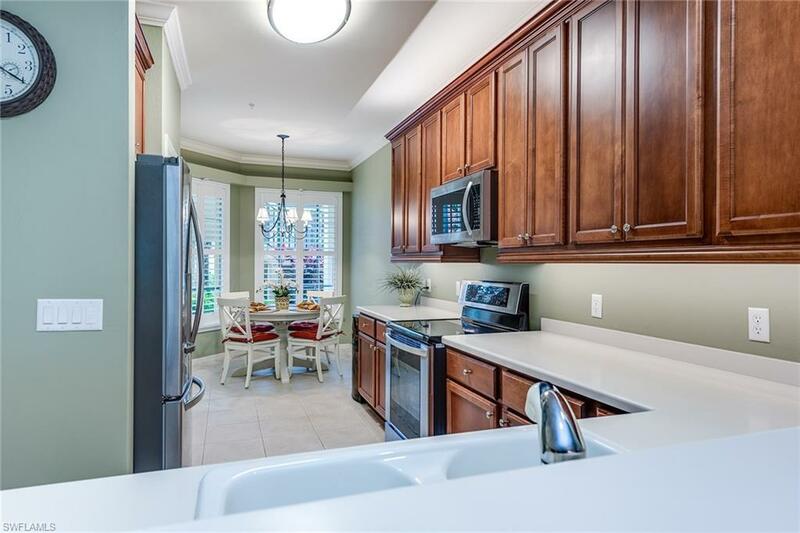 You will find crown molding throughout, plantation shutters, glass doors in the second bath installed in 2017, beautifully appointed and comfortable furniture and new outdoor patio furniture purchased in 2017. 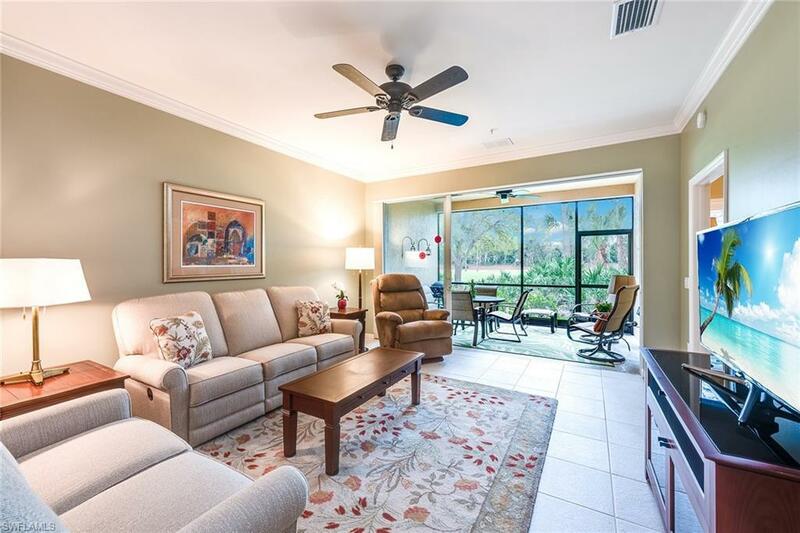 Vasari is a bundled golf community offering both individual community pools and a clubhouse and community pool, tennis, bocce ball, golf leagues, and a wonderful and active social calendar.